An axe file extension is associated with the Microsoft Autoroute (in USA Microsoft Street & Tips) mapping software. An axe file stores map compatible with Autoroute. What is axe file? How to open axe files? The axe file extension is associated with Microsoft Autoroute (Microsoft Streets & Trips in USA), a mapping software developed and marketed by Microsoft. The axe file contains map data usable in the program. 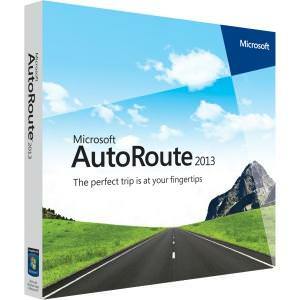 The Microsoft Autoroute (Streets & Trips) is discontinued product. This axe file type entry was marked as obsolete and no longer supported file format. Microsoft Autoroute is a trip planning software that helps users to accurate directions, easily explore new areas and find the services. Autoroute contains more than 740,000 points of interest, like restaurants, museums and more. 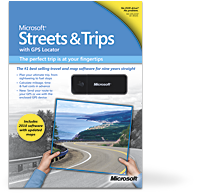 Microsoft Streets & Trips is mapping software used to easy planning trips. Get accurate driving directions to just about anywhere in the United States and Canada. With updated maps and extensive trip planning features, Streets & Trips will help you plan your trip, your way. Maps from *.axe files can be imported to Microsoft Autoroute. and possible program actions that can be done with the file: like open axe file, edit axe file, convert axe file, view axe file, play axe file etc. (if exist software for corresponding action in File-Extensions.org's database). Programs supporting the exension axe on the main platforms Windows, Mac, Linux or mobile. Click on the link to get more information about listed programs for open axe file action.